What is the Pediatric Sepsis Data CoLab? Worldwide, at least 7 million people die every year due to sepsis (severe infections), the majority in low- and middle-income countries. Most of these deaths are treatable and preventable. To help us prevent these deaths we need to collect accurate information on patients to help health care workers make individual treatment decisions. In addition, collecting this data can also help hospitals gain insight into facility-wide processes, leading to a better understanding of the safety, quality and efficiency of their care. Unfortunately, accurate data collection is often challenging in under-resourced countries. This international network will share information and data to further shared priorities among collaborators to improve sepsis treatments and outcomes. 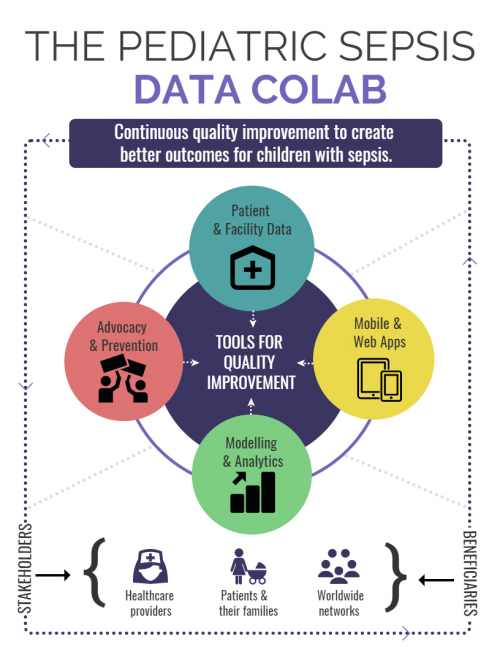 The Sepsis CoLab will facilitate partnerships to develop and validate tools for data collection and data sharing, enabling continuous quality improvement of care in secondary level health facilities across the world. 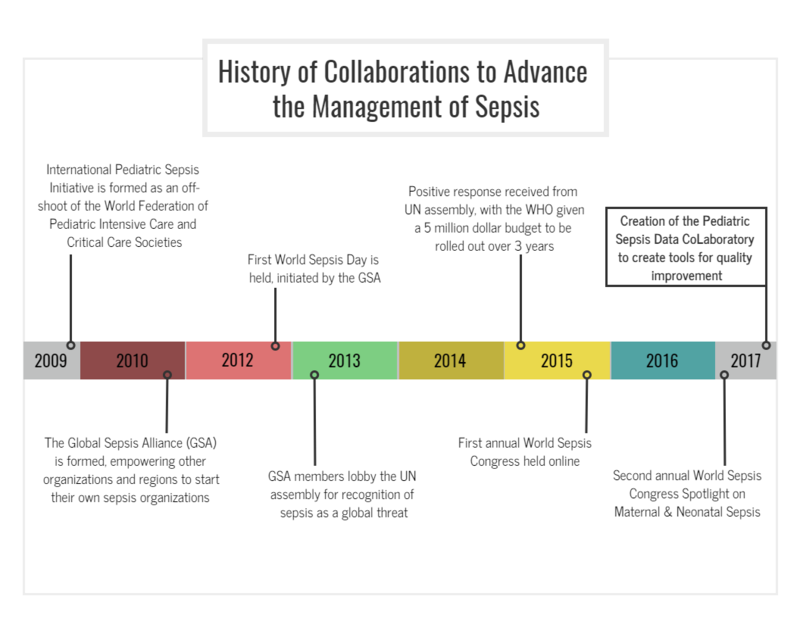 The vision for the Sepsis CoLab arose out of the recognition that despite important milestones recently achieved in the fight against sepsis, lack of routinely collected data and coordination is hampering progress. Patient and facility data – develop tools to enhance the collection of relevant, accurate data for research and quality improvement. Mobile and web applications – develop tools to inform, diagnose, advise and plan for improved outcomes using low-cost mobile technologies. Advocacy and prevention – advocate on a facility, national, and global scale for improved guidelines and practices for improved early recognition of sepsis. Researchers and health workers globally have worked tirelessly over the years to advocate for better awareness, training, and clinical management guidelines in sepsis. Through these efforts sepsis has recently been recognized as a priority issue through the adoption of a World Health Assembly resolution by the World Health Organization (WHO) in May 2017. Currently, there is momentum to do more.